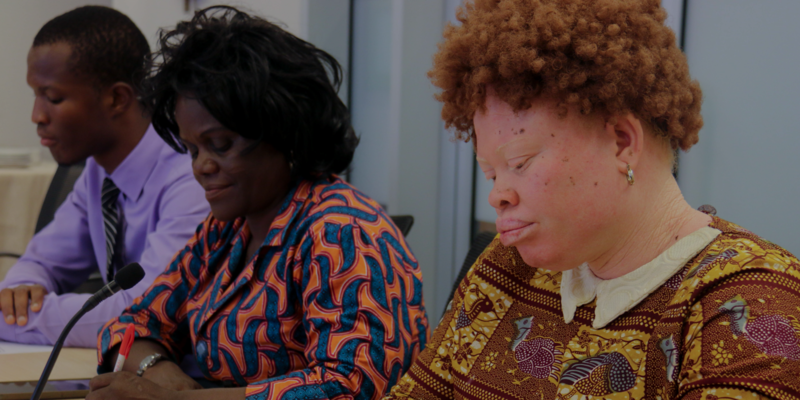 Civil society representatives connecting from the IFC office in Accra, Ghana participate in a video conference with CAO, as part of CAO's Africa outreach initiative, December 2017 (Photo: WACSI). CAO met with over 300 organizations from 40 countries this year through technical workshops, policy meetings, and outreach events in Africa, Asia, Europe, and North America. 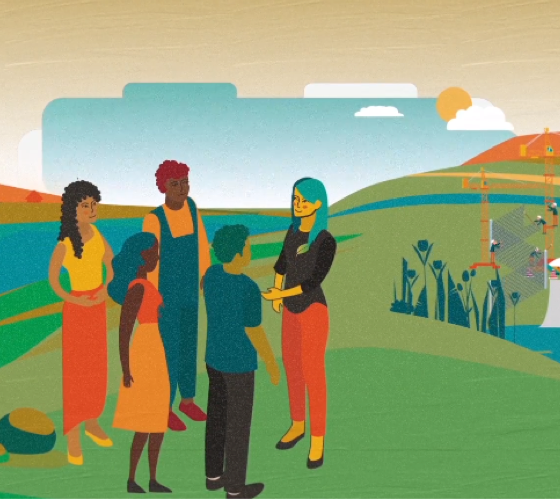 This year, CAO engaged a wide range of stakeholders around the world to raise awareness about its mandate, share case outcomes, and discuss good practices. CAO met with over 300 organizations from 40 countries through technical workshops, policy meetings, and events. This included the launch of an Africa outreach initiative and engaging in important forums such as the UN Business and Human Rights Forum, the International Association for Impact Assessment, and Independent Accountability Mechanisms network. 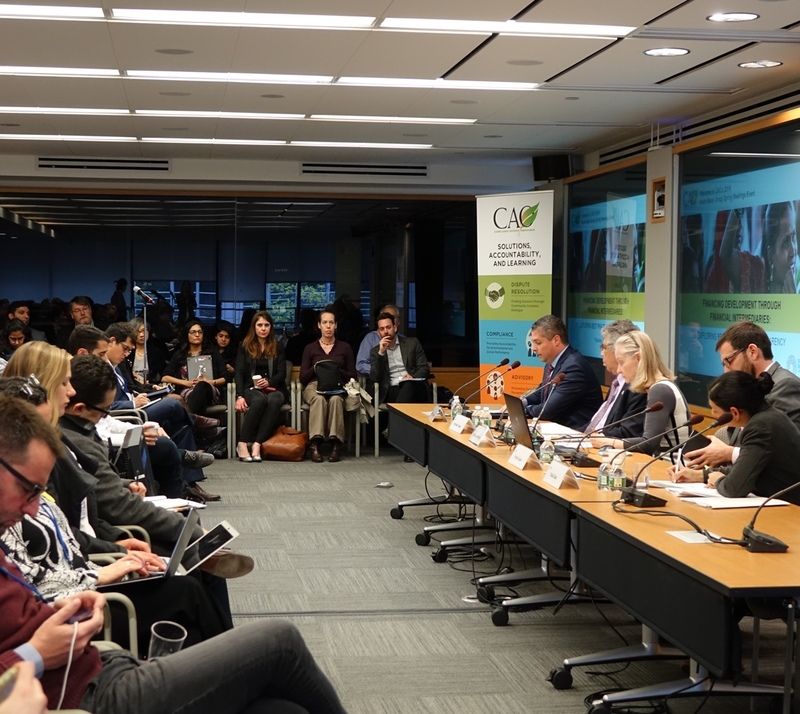 CAO hosted policy sessions at the World Bank Group Annual and Spring Meetings on reprisals, financial sector transparency, and mediation in a development context, and worked to improve its communications impact by developing new products. Highlights from these activities are outlined below. CAO initiated a year-long initiative to reach out to civil society organizations and other stakeholders in Africa. The goal of the outreach is to raise awareness about CAO’s mandate and ensure access to recourse for communities impacted by IFC and MIGA projects, which remains a key challenge for CAO in the region. 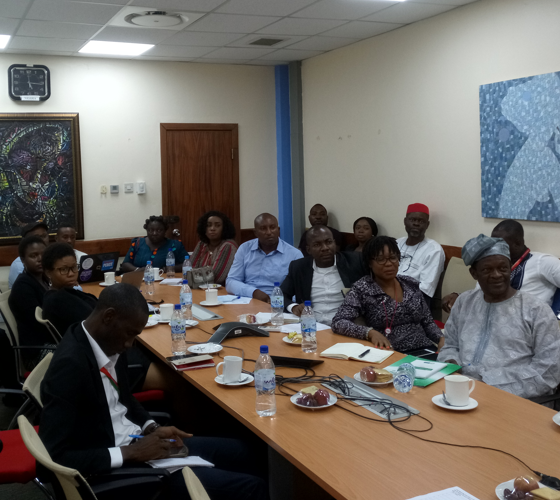 Nigerian civil society representatives engage in discussion during the video conference outreach event with CAO and IFC, Abuja, Nigeria, May 2018 (CAO). CAO engaged the private sector in various forums this year to share experiences and good practice from its work, including a training on grievance redress for companies in West Africa and workshops on environmental and social risk management with Chinese and Dutch banks. Panel members address audience questions during a CAO session on financial sector transparency, which took place as part of the World Bank Spring meetings, Washington, D.C., April 2018 (CAO). CAO engaged with Chinese and Dutch banks this year to discuss good practices in environmental and social risk management, due diligence, and accountability in the financial sector. As part of efforts to improve communication and reach with different audiences, CAO carried out a user survey to assess its communications products, embarked on a website redesign, and released two new videos about CAO’s work. Survey responses indicated that CAO’s user base is growing, and that people find CAO’s work to be balanced and factual.